This unit coordinates the addition of materials to the on-site and electronic collections of the UMBC Library, ensuring the best possible support for research and study by UMBC faculty, students, and staff. Faculty and librarians work together to achieve these goals and objectives. Provides direct support to faculty and liaisons in selecting library materials. Offers training and assistance in using the library's ordering systems. Shapes the library collection by establishing purchasing policies and adjusting departmental allocations for one-time and database purchases. We are available Monday to Friday from 8:30 am to 4:30 pm. Learn more about the Library Liaisons program in the Library Liaisons FAQ. Learn more about ordering books through the GOBI approval system. To recommend purchase of a particular title, please use the Book & Media Purchase Recommendation Form, supplying as much information as possible. 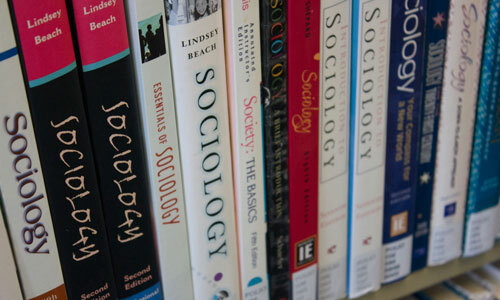 Books written or edited by UMBC faculty and staff are actively collected by the library. Please notify the Collection Management Librarian if you have recently had a book published, so that copies can be purchased for the collection. One copy is cataloged and added to the Special Collections Faculty and Staff Collection. There are more than one million items in the Library collection. For a further look at what your library holds, please see Find Books & Media. Due to the ever increasing costs associated with the short-term and long-term storage of gifts and the associated resources required to sort, review, process, preserve, and maintain materials, the Library ceased most general book and media donations as of June 30, 2017. Special Collections will continue to accept donations of photography materials, Special Collections materials, as well as archival books and materials. Please contact Special Collections for further information - 410-455-2353 or speccoll@umbc.edu. The Library will continue to accept pre-approved donations from on-campus offices and current faculty, staff and students. Please contact the Collection Management office to discuss possible on-campus donations: 410-455-2341 or illcm@umbc.edu. Acknowledgement letters will no longer be provided and the book donation form will serve as the only receipt. At the discretion of the staff, gifts may be incorporated into the collection, exchanged for other materials, donated to other institutions, or sold. Please read our Gifts and Donations information webpage. Deliveries can be made to the loading dock at the rear of the library. Please view the campus map to find the library location on campus.